Samsung Announces New 2018 Home Entertainment Lineup—and we've got 'em all! 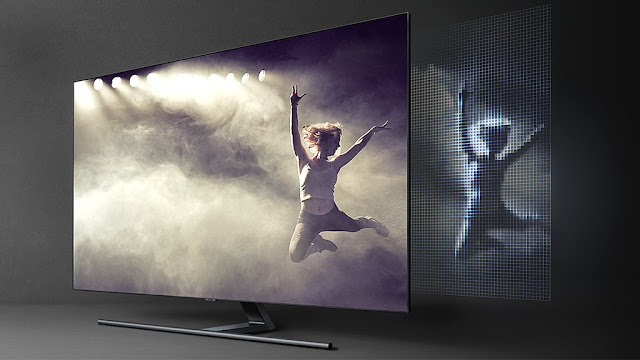 New QLED TVs, Available at Video & Audio Center, feature Direct Full Array, Bixby and Ambient Mode for even better picture quality, intuitive control and seamless design. 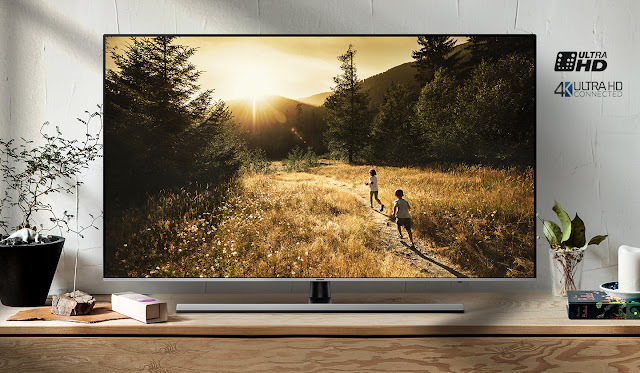 Earlier this month, Samsung unveiled its 2018 home entertainment lineup at the company’s First Look Event in New York. 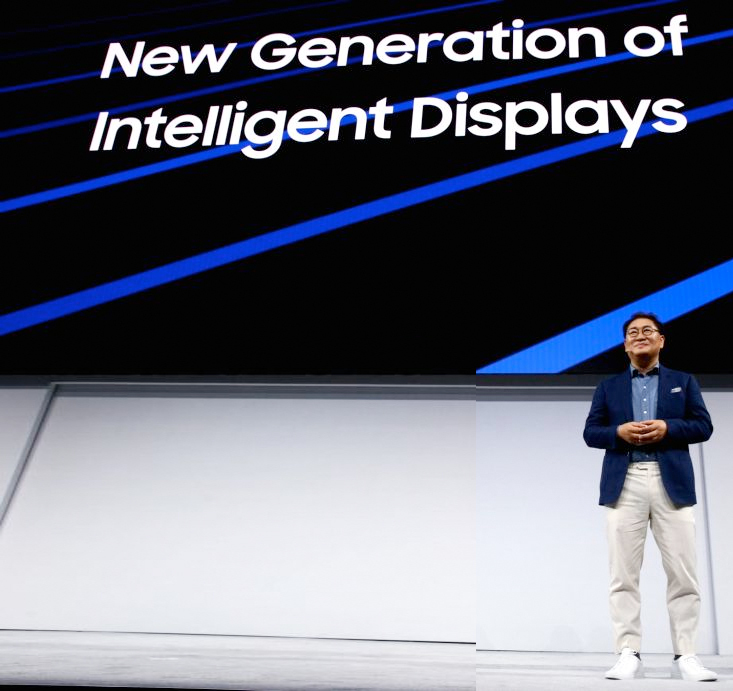 Samsung highlighted details about its flagship QLED TV models and its expanded lineup of UHD, Premium UHD and Ultra-Large Screen TVs. 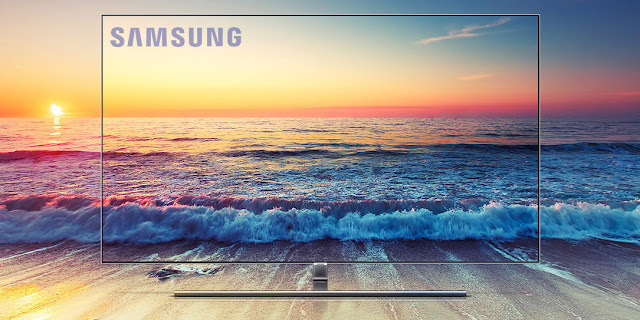 With groundbreaking design elements, enhanced picture quality, and intuitive smart capabilities, Samsung’s 2018 QLED line empowers consumers to enjoy content without distractions – even when viewers are not actively watching. 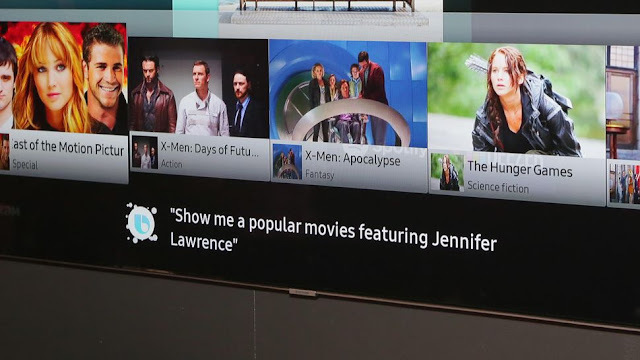 Samsung Q9 QLED TV pictured above. 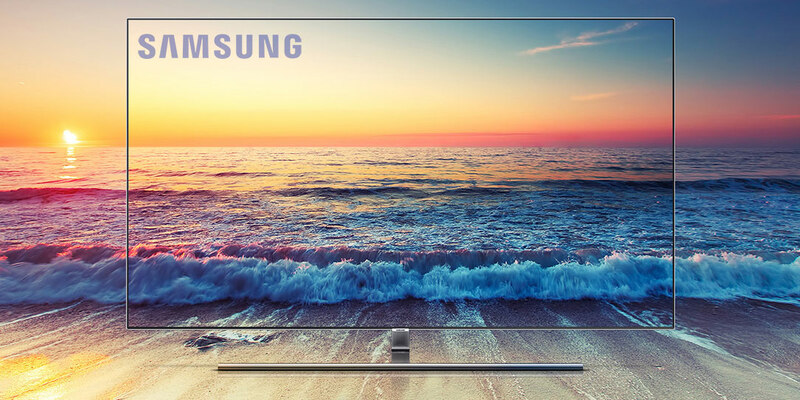 Samsung’s 2018 line features new innovations that enrich the lives of consumers by reimagining how TV integrates into the living room, how consumers enjoy their content, and how they interact with their devices. Samsung QLED TV in Ambient Mode pictured above. Look closely or you'll miss the Invisible Connection! The QLED line’s smart capabilities offer revolutionary ways to set up the TV and find content. Effortless Login uses the new SmartThings app** to drastically reduce the time it takes to set up a new TV. The new Universal Guide enables consumers to navigate across supporting streaming services and live TV through one intuitive menu. And with Samsung’s intelligence platform, Bixby,*** consumers can use voice commands to bring up their favorite shows and control compatible devices. Samsung's new HW-N950 Dolby Atmos soundbar pictured above. 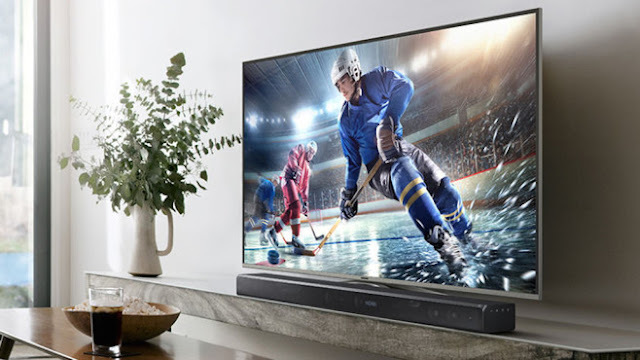 HW-N950: With front-firing, up-firing and new side-firing speakers, the HW-N950 Dolby Atmos soundbar creates an extraordinary cinematic experience that delivers 7.1.4 surround sound. 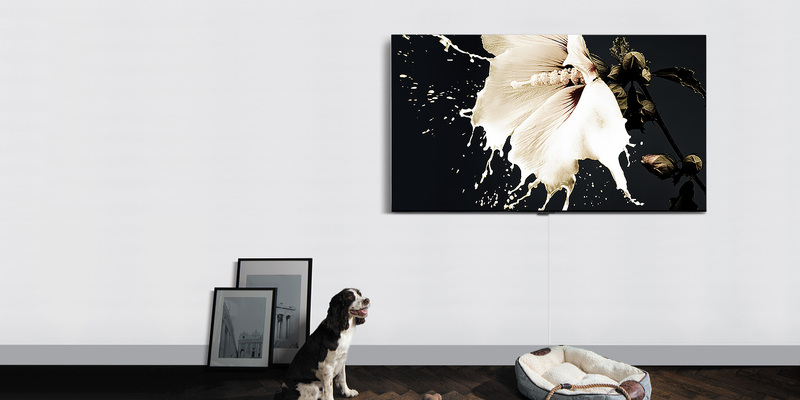 In response to rising consumer demand, Samsung is reinforcing its commitment to ultra-large screen televisions. The 2018 Samsung TV line features 9 series across the QLED TV, Premium UHD, UHD and Ultra-Large Screen display range, available in a variety of class sizes. Models in the 2018 lineup feature both flat and curved display options. 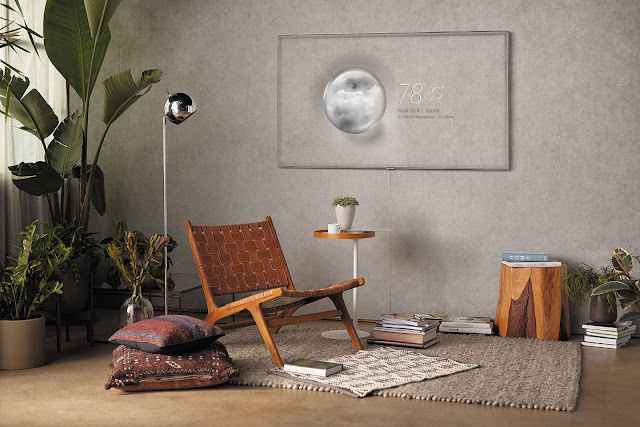 QLED TV: Models in the 2018 QLED TV lineup include – Q9F (65”, 75”, 88”), Q8F (55”, 65”, 75”), Q7C (55”, 65”), Q7F (55”, 65”, 75”) and Q6F (49”, 55”, 65”, 75”, 82”). 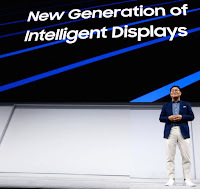 The QLED TVs feature enhanced color and contrast, HDR10+ compatibility, Ambient Mode, Smart TV enhancements with Bixby Voice, One Remote Control and the One Invisible Connection. UHD: Models in the 2018 UHD TV lineup include NU7100 (75”, 65”, 55”, 50”, 43”, 40″) and NU7300 (65”, 55″). 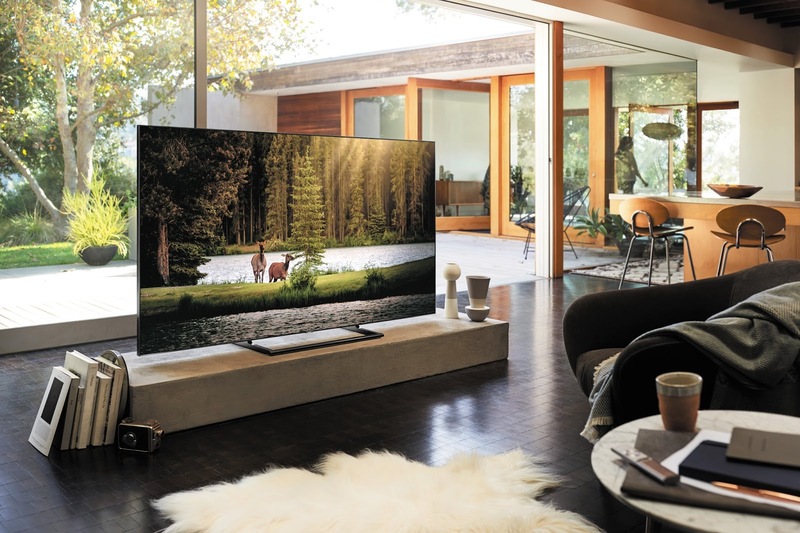 These UHD TVs include features such as 4K UHD and HDR picture capabilities, clean cable solutions, slim design and Smart TV capabilities. Samsung’s 2018 home entertainment line will be available at all Video & Audio Showrooms & online beginning this month. 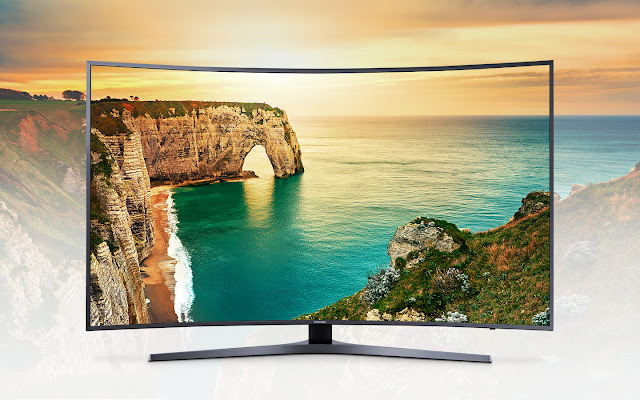 For more information and pricing on Samsung’s TV and Audio products, www.videoandaudiocenter.com. *One Invisible Connection applies to Q7 and higher models except Q8F. One Remote Control applies to NU7400 and higher models. **SmartThings is available on iOS and Android-powered devices. ***Bixby service ability may vary by country or carrier. Voice Command recognizes English (U.S.), Mandarin Chinese and Korean. Not all accents, dialects and expressions are recognized. The list of features that can be controlled by voice commands via Bixby will continue to expand. Mobile functionality compatible with Samsung Galaxy 8 series or higher with Bixby function. Samsung Account log-in and data network (Wi-Fi or internet connection) required to fully operate Bixby features. 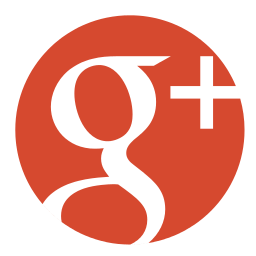 ****The product line, details and availability vary depending on the region.